Outman named All-Region Coach of Year. Butters, Smethers play in NTL Senior All-Star game. Four Hornets named to NTL All-Star team. Hornets erase 16 point deficit to beat Towanda. Hornets fight off Indians, 37-35. Hornets blow 14 point lead to Towanda. Hornet boys top Athens, 62-49. Hornets top Black Knights, 51-44. Hornets fall to Lewisburg, 57-43. Hornets top Athens, improve to 5-0. Doganiero, Prough lead Hornets past Williamson. 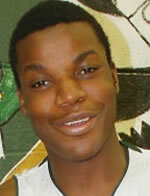 ND's Garvin headlines All-Region boys' basketball team. East tops West in NTL boys' Senior Game. Towanda's Huff NTL Boys' Player of the Year. Pietropola's buzzer beater lifts Wellsboro past South. Towanda boys rally to top Wellsboro. Schrader nets 41 in Williamson win. Mansfield boys top Wellsboro; Williamson boys down NEB. Sayre holds on to beat Blue Ridge. Bo Burleigh leads Mansfield past Sayre.